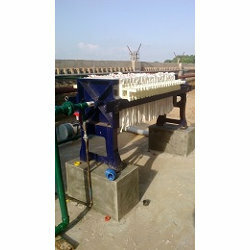 Offering you a complete choice of products which include filter press. We specialize in manufacturing, supplying and wholesaling an extensive range of Filter Press. The different parts of the offered product include the steel skeleton, the plates, the hydraulic pump and cylinder, the plumbing which includes the manifold and center feed pip, and the filter cloths. The filter press skeleton and filter press plates need zero repairs.